The UK's Association of the British Pharmaceutical Industry (ABPI) has launched a guide to help its members better understand how the country's National Health Service (NHS) functions. An introduction to The National Health Service (NHS) comes two months after the much-debated Health and Social Care Bill was passed and includes information about what the various reforms introduced as part of the Bill mean for pharma. 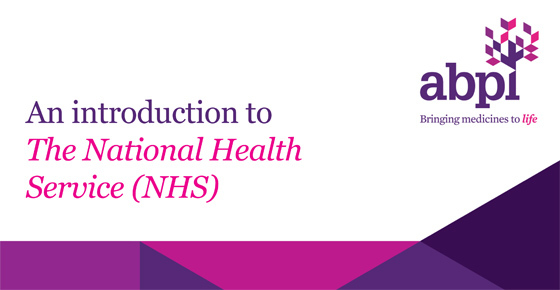 In addition, the guide also provides a background to the NHS, from its formation in 1948, as well as details on the difference between primary and secondary care; the differences between the health services in Scotland, England, Wales and Northern Ireland; and the function of the drug pricing watchdog the National Institute for Health and Clinical Excellence (NICE). “The ABPI is here first and foremost to represent the needs of our members and during my time as chief executive I have been eager to develop simple, but practical tools that help us communicate better with our stakeholders,” said the ABPI's chief executive Stephen Whitehead. The ABPI has made several commitments to improve the industry's relationship with the NHS under Whitehead, including the launch of a regional partnership team that aims to be a NHS 'bridge-head' for pharma. The organisation has also backed plans compiled by the Ethical Standards in Health and Life Sciences Groups (ESHLSG) that give guidance on promoting a positive relationship between health organisations and pharma. • For further details on the UK's health service, see our NHS Guides.